Earlier this week I attended PlanetPTC. I attended some of the keynote speeches in the main event and PTC held special events for the media and press. We had the opportunity to rub elbows and hold private meetings with some of the executives from PTC. I found them to be open and earnest in their plans for the future. It all starts with Jim Heppelmann, CEO and President. Jim described a strategy meeting he held with his executives to plot the resurgence of the CAD offering. He honestly said, several times, that development lagged for the product during the last decade and they found themselves adding more and more complex features to the already existing, difficult to use Pro/ENGINEER. [A situation many of their competitors are in also] The architecture was antiquated and all agreed a new approach was needed — one that might serve PTC well for the next decade or two. Thus was born Creo! 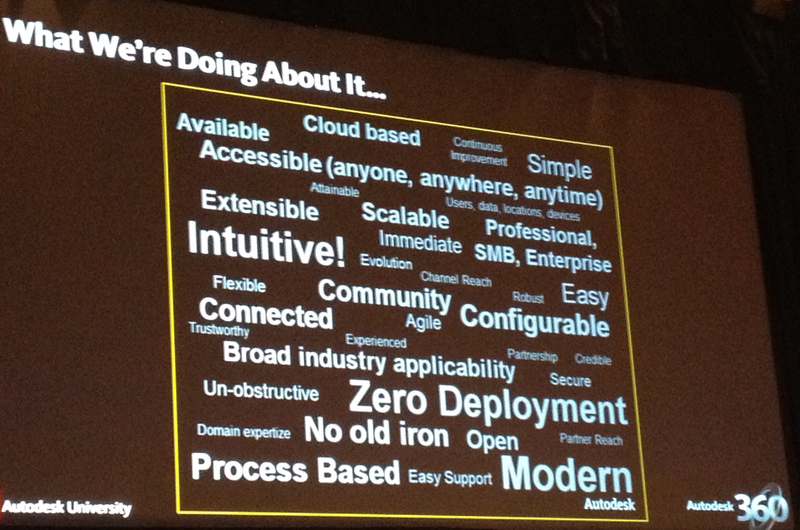 One might ask the question, as one did at a media Q&A event with PTC executives: “Why rebrand the product line? Why not use the famous Pro/E brand and go on from there?” Replied Rob Gremley, EVP of Marketing, “because it is not Pro/E, because customers said that it was far different, and to call it Pro/E would be a mistake. Thus, we needed a new brand, even though it might confuse people at first.” My reaction, they are right, even though I sometimes struggle to properly name the new software products. For example, changing the name of CoCreate to Creo Elements Direct is enough to confuse anyone. The rebranding and new product rollout was not without risk. In fact it was very risky for PTC. Oftentimes companies are reluctant to change their cash cows. This is clearly spelled out in the book “The Innovators Dilemma.” Such a strategy often leads to a company’s demise, with their refusal to take risks. Heppelmann should be applauded for taking this very large step. Further, Heppelmann was emphatic that existing customers would not be hurt; they would not have to buy new software to support their installations; any upgrades would be painless. 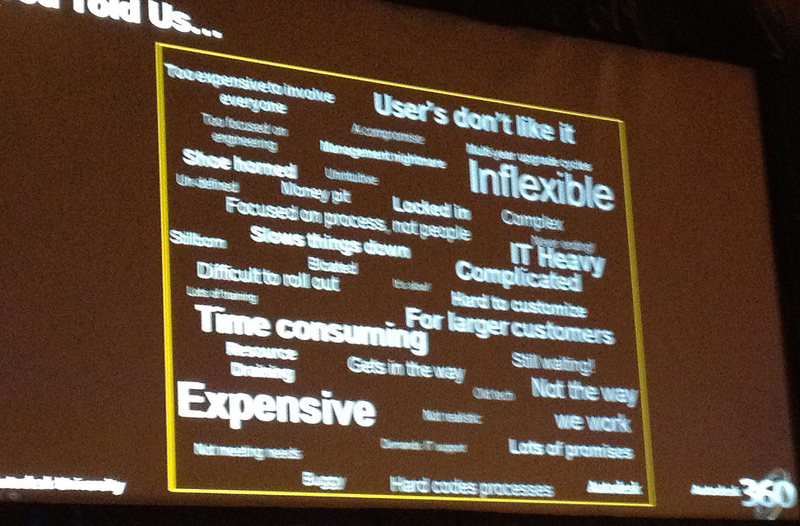 Apparently, the customers bought into this and the promises for Creo futures. In the last few quarters, PTC experienced its highest revenue growth (12%) in more than 10 years, with Creo Elements Pro up 40% in license revenue. CoCreate and View also saw substantial revenue gains. As an aside, the sessions, both main and media sessions, focused on Creo and the MKS acquisition, with little attention being paid to Windchill – the best kind of focus for a modeling dude like me. While PTC spent a great deal of time on Creo, there was very little depth — at most a few 5 minute AVI’s. So I am using these short videos and some conversations to form my opinion. PTC promised me a more in-depth look later at the products, and of course most of the new apps are shipping now. The primary apps, Creo Elements Pro and Creo Elements Direct, aside from UI improvements are pretty much the same as they were with Pro/E and CoCreate, the exception being the new apps that extend Elements Pro. 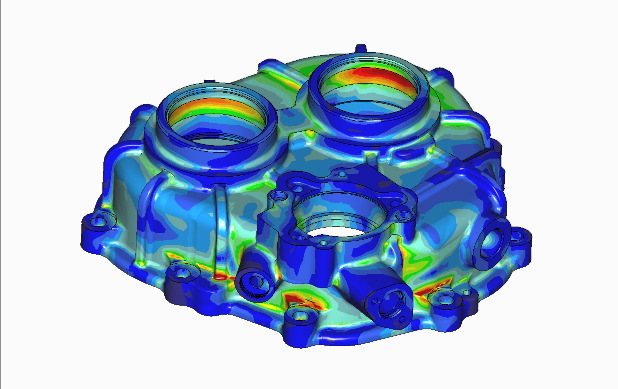 These new apps show the promise of where Creo is heading. And it’s exciting. 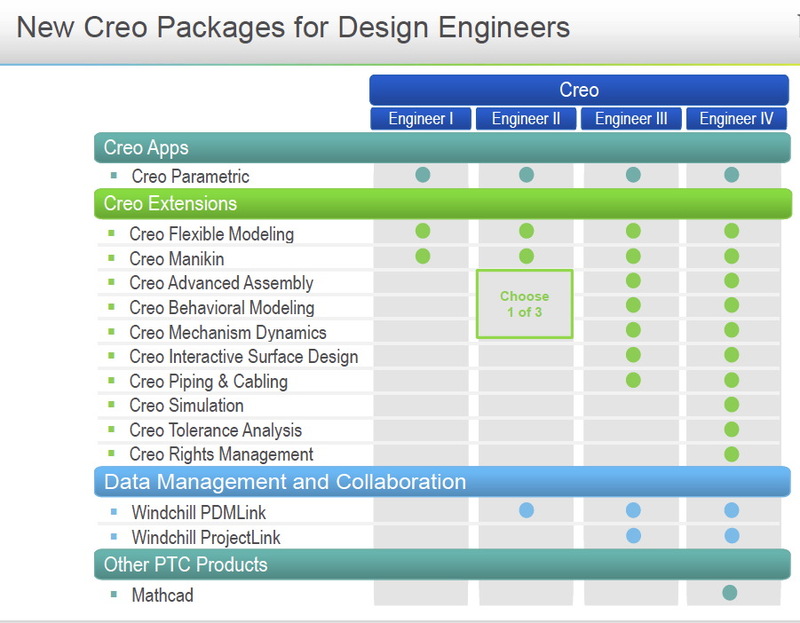 Here is a summary of the Creo Products delivered in Creo 1. 1. 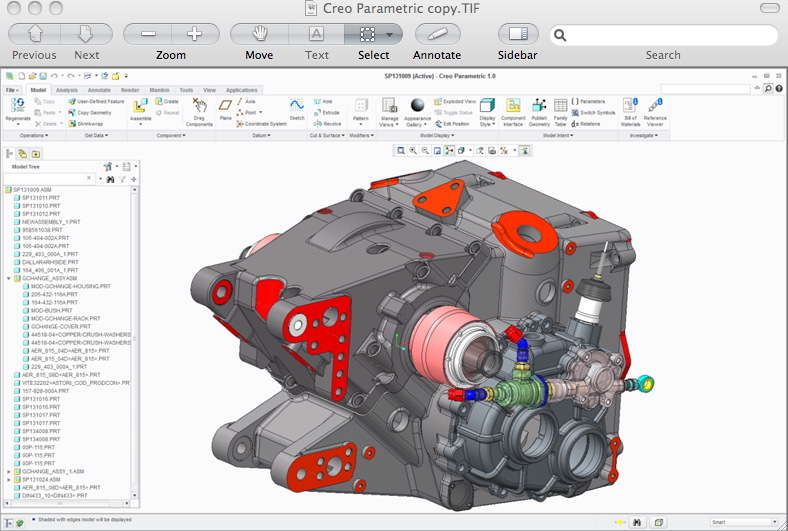 Creo Parametric, the successor to Pro/E. A full-featured parametric modeling application. 2. Creo Direct, a new application. Delivering a direct modeling experience. This app provides an intuitive way to easily modify parametric models. 3. Creo Sketch, a new app for sketching. This allows artists in the organization to capture their early thoughts about the way product should look, oriented towards industrial design of products. 4. Creo Illustrate. 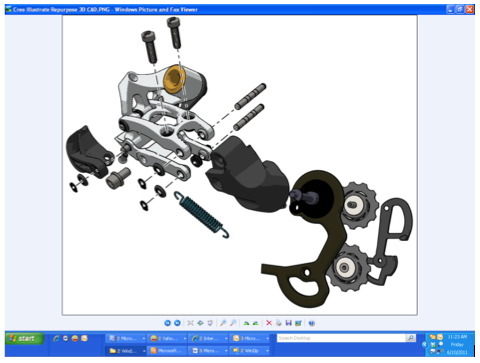 a new app for use by the service organization to capture the service procedures such as assembly and disassembly in an intuitive way using Creo 3-D models. 5. 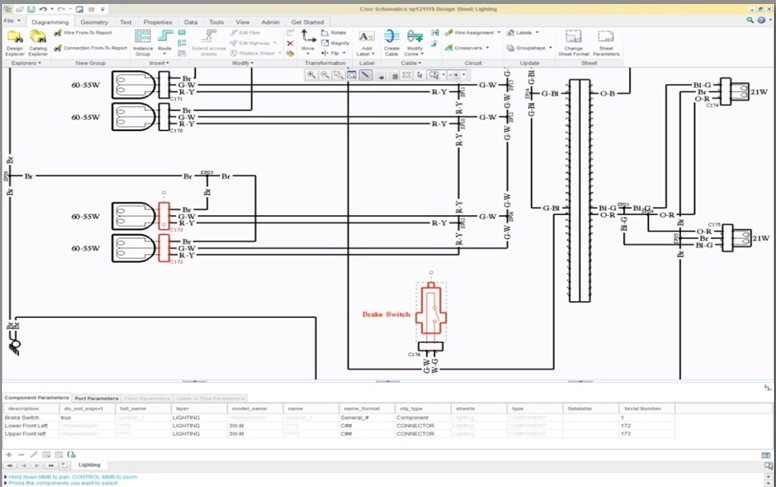 Creo schematics, an app for schematics capture. 6. Creo Simulate. An app for the analyst. Allows the professional analyst to analyze structural and thermal characteristics of models, created within Creo or external models. 8. 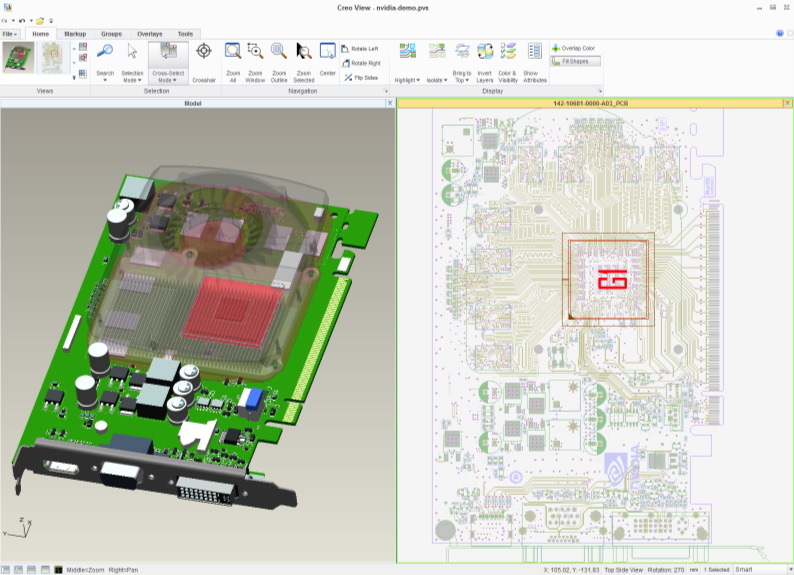 Creo View ECAD. 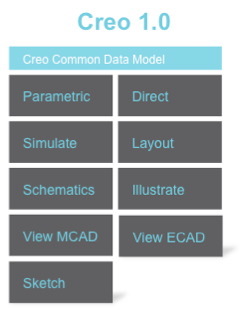 Continuing the theme of openness are two more applications–Creo view MCAD and Creo view ECAD. These apps are used for viewing, markup and measuring data from either Creo or other CAD applications. 9. 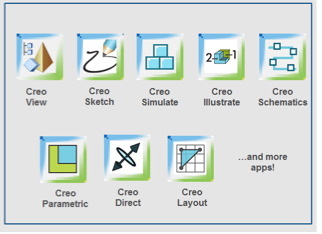 Creo Layout, an application designed for the early conceptualization of the product. What about deliveries? Creo 1 is shipping now. An update will add some apps later this year. Creo 2 will ship in March 2012, Creo 3 in March 2013. So, overall, what do I think about Creo? It’s innovative, I like how Creo Direct works to add features that change the model directly; the UI looks much easier and mimics that of Microsoft Office apps. While PTC is working hard on importing any CAD system’s data into Creo, interoperability is a one-way street. Data is brought into Creo, but plans are murky to allow exporting data. A user from Systems Spa, described how they planned to switch from parametric modeling to direct modeling now that they had a real choice and still stay within the same software architecture. 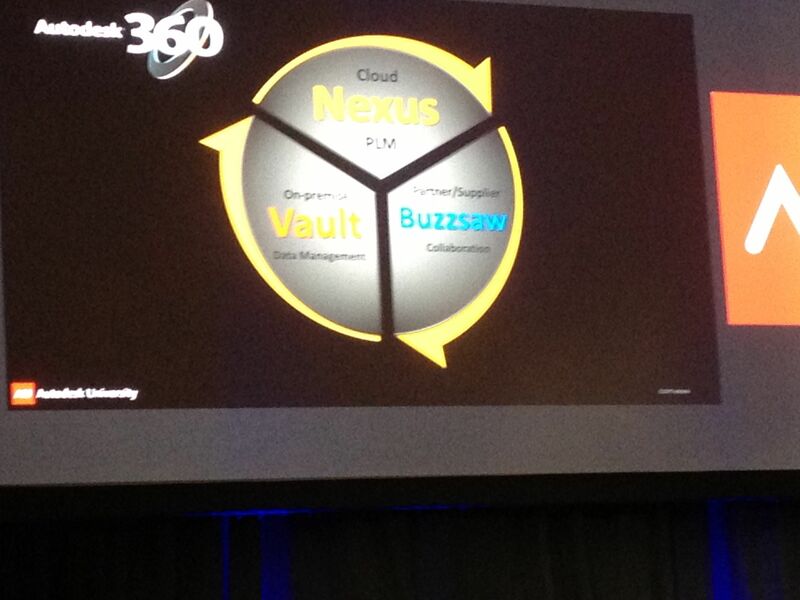 After testing they concluded that direct modeling offered a greater that 30% productivity gain. I found this very interesting and wonder how many other users bought into parametric modeling because it was essentially, the only game in town. Now that’s changed. Eventually Creo Elements Direct will merge completely into Creo Direct. 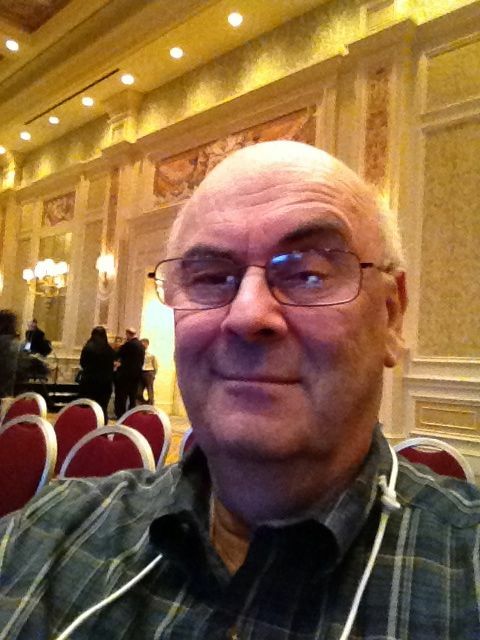 On the subject of Creo direct, I cornered Mike Campbell in a hall and asked how Creo Flexible Modeling, a Creo Parametric extension can add direct modeling to a parametric model. For instance, what if a parametric feature disappeared after direct changes? His concise answer was that they never change the parametric model; direct modeling just adds features that change the model. Huh? Removing a pocket fills in the pocket with a new feature. Changing a face angle adds a feature that does that. He indicated there were special commands added that perform functions like this. 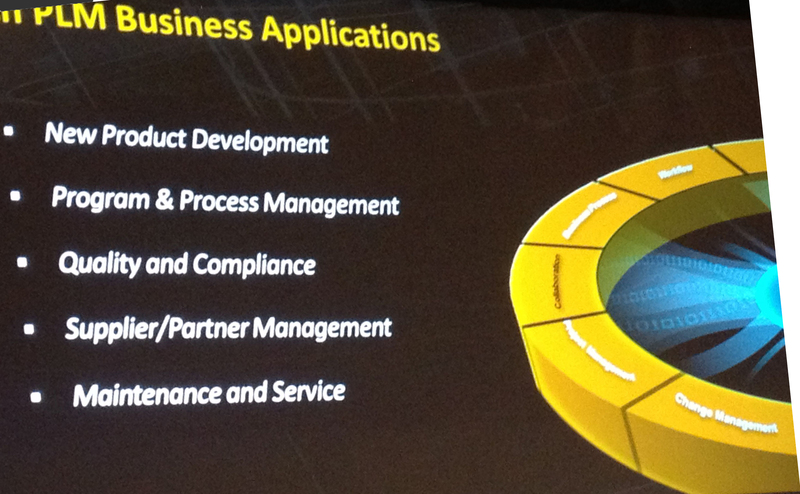 Future plans call for Creo 1.1 due Nov 2011, Creo 2.0 due March 2012, and Creo 3.0 due Mar 2013. 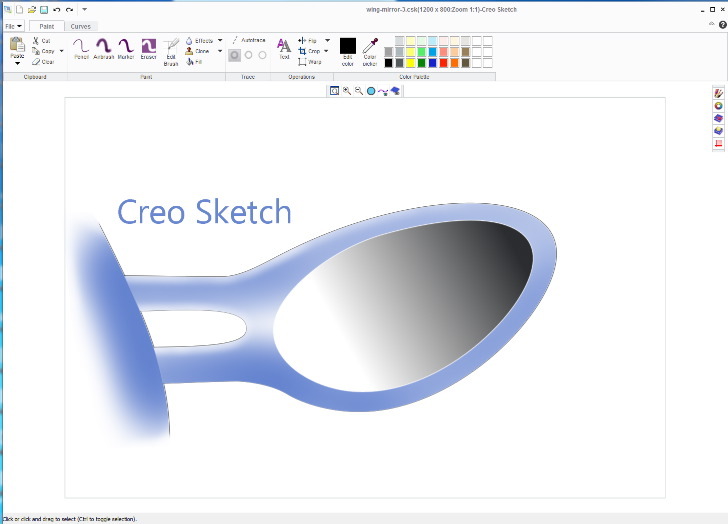 Creo Freestyle, discussed only briefly, and included with Creo Parametric and Creo Direct, allows morphing the surfaces of a solid into quite a complex shape. Instead of operating on curves, as does Alias Design, Freestyle operates directly on the solid model. Very impressive, but I am have little information about what it can really do. 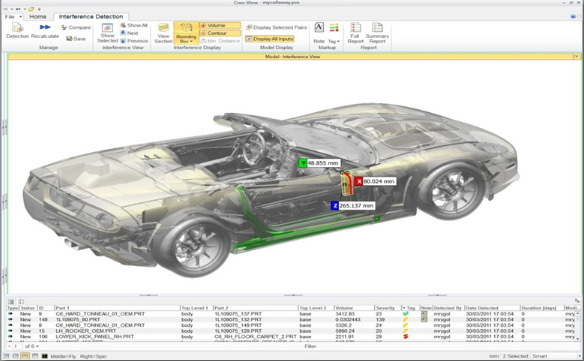 PTC briefly discussed the ability to perform selective data reading from other CAD systems, With the advancements in AnyData it appears to be capable of isolating specialized modeling functions (such as body-in-white?) from other CAD systems. Could this be an opening for PTC to capture large OEM’s? MKS’ Integrity software, now specialized for software, especially embedded software, offers leading edge capabilities for testing and the application of requirements, thus opening the door to advanced systems engineering. Stay tuned here. The PTC executives were very excited about the possibilities. Getting this information from PTC was like pulling teeth. It hurt, but they eventually relented. 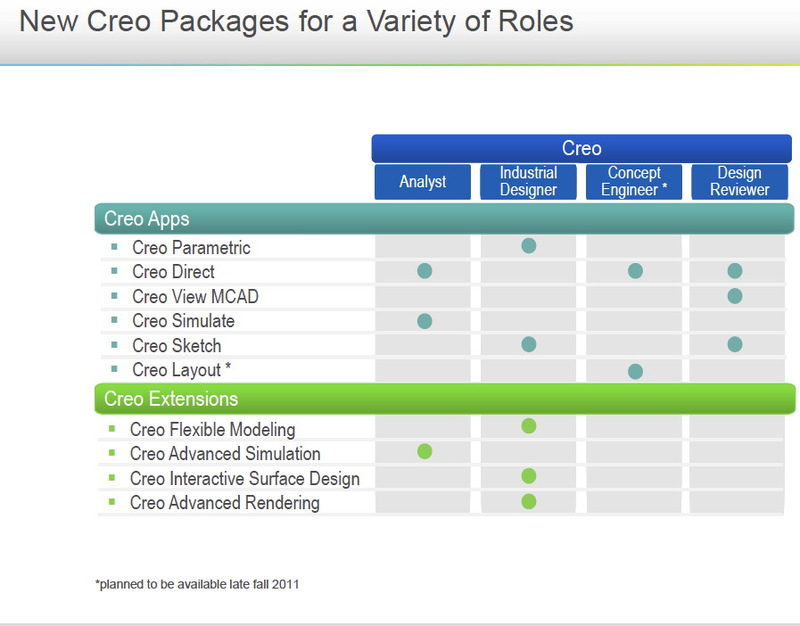 The packaging is divided into Creo Applications (such as Creo Direct and Creo Simulate), Creo Extensions (to an App, such as Creo Advanced Simulation Extension), and packages which combine Apps and Extensions (such as Creo Engineer). Shown below are some examples. There are many more. Creo Parametric is similar to Pro/E, where Pro/E Foundation starts at $4995, US pricing for quantity of one. Creo Direct is $3500. 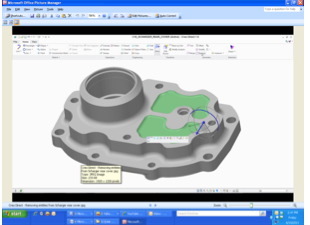 Creo Simulate is $7995 without the non-linear extension. Other prices are available for PTC. Prices may be different outside the US. Creo Parametric with Flexible Modeling, really desirable offering is $5995.